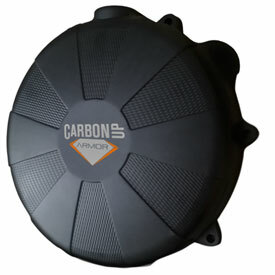 This cover is made using the newest carbon fiber infusion process for increased damage resistance and weight reduction. It is able to withstand repeated blows from sledgehammers so you can trust it to survive the harshest riding conditions all while being lighter than aluminum and cast covers. It has enough clearance for automatic clutches. This extra volume also has the benefit of holding more oil than the stock cover. Included in the box is the clutch cover, gasket, metal sleeves, and a sleeve installation tool. After a couple years of use my stock cover was wearing thin, decided to replace it before it became a problem. 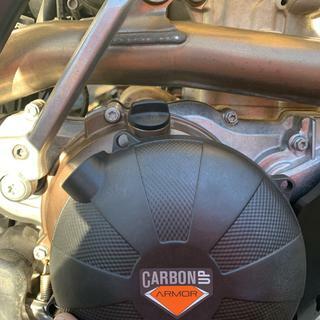 The Carbon Up fits nicely and seems durable enough, my only complaint is the threaded hole for the oil fill cap is a bit tight when opening/closing but perhaps it will break in with some time. I have this clutch cover on my 18’ ktm 300xc it’s the one you want! But!!! I bought one for my 18 FE501.... and it’s not the one... the oil fill is to the left side of the 12 o’clock cover bolt. And is directly in line with my kicker.. it does clear. But looks to be a serious pain in the but to add oil... they are great products. Disappointed that it's not a complete kit. Good product but a bit pricey. Will see how the longevity goes! Was disappointed with the product not coming with the correct shorter bolt required as per "Kyle" from "Dirtbike chanel" saying that they now do on a review he did. Well built, gasket is the only weakness. High quality cover, quite a bit of gasket squish at factory torque, and would recommend de burring the oil fill threads on the inside of the cover, nothing can be perfect but this cover is far superior to OEM. Stood up to a personal hammer test. This clutch cover with not fit with the kick starter installed. I'm pretty impressed with this cover. The installation was a snap and the reusable rubber seal worked well. Its toughness is unbeatable as per the video, and as a pleasant unexpected bonus the clutch chatter noise that KTMs have is noticeably reduced. I would get a spare gasket when you order the cover because the the cover itself will probably last forever. I didn't see this cover at first, because RM ATV doesn't list it as fitting my bike. 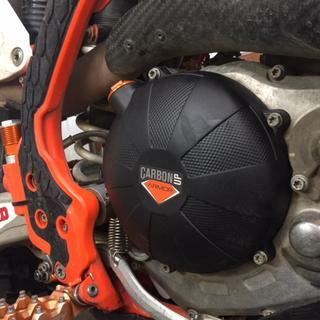 According to RMATV and Carbon Up Armor, they say this cover only fits the 2003-16 KTM 250 SX, which is odd because KTM lists the same OE clutch cover part number for many of the 250/300 SX/XC/XC-W models. I ordered one anyway, and am happy to say it fits perfectly on my 2011 250 XC-W. Seems durable enough, but I guess time will tell. I've only got one ride on it, with a couple tip-overs, but so far no leaks or any other issues. Happy to find an alternative to the weak OE cover and the more expensive billet covers. How much extra oil does it hold? BEST ANSWER: Compared to stock on my KTM very little, I always replace my gearbox oil with the exact same amount during changes and when I swapped the oil check still dribbled like the stock cover. It might hold a slight amount more but not enough to be noticed when it comes to heat or volume. Such a small amount extra you'd be hard pressed to measure it. Has anyone had any issues with this cover affecting the electric starter on a 2019 KTM 300 XC-W TPI due to the thickness of the bolt attachment areas and the bolts interfering with the starter? In other words is the thickness of the parts the same as stock where the bolts attach to the engine. BEST ANSWER: This cover mimics stock, the starter issue on the 17 happens when you mix up the bolts putting the cover back on. When swapping out for the Carbon Up just ensure you put all the existing bolts back into the proper position upon assembly, I have the cover on mine and zero issues with the starter. 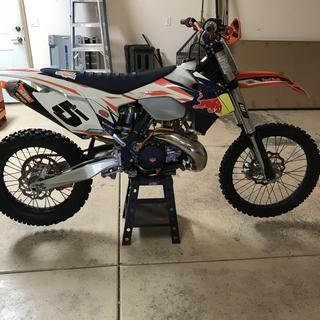 This case is not available for KTM EXC/XC/XC-W 2017-2019 300/250 2 Strokes? How does this handle the heat being a thermo plastic infused with carbon fiber?? BEST ANSWER: It doesn't actually give a heat rating for the item, however this will be able to withstand the heat produced off the engine. We have had no problems brought to our attention with this product.